In the Spring 2006 newsletter I launched the “Centenary Project” with the aim to collect enough material to be able to produce a well illustrated history of the Squadron’s first hundred years when the Centenary is celebrated in 2015. And now it’s here! Many thanks indeed to those of you who have already so kindly shared your photograph albums and memoirs with the Association Archive. However it is a case of “the more the merrier” and if you want your part in the unit’s distinguished history to be recorded for posterity then please help the Project by sharing your experiences with me. I am very happy to accept memoirs/reminiscences anecdotes either in letters, e-mails or articles and photographs as prints or as JPEG (.jpg) files. If you are willing to loan original prints, I can scan them into my computer and return them to you, and I promise to do so as quickly as I can. I’m also intending to gather a list of all the aircraft operated by the Squadron and details, if applicable, of the aircraft’s loss, so if you are able to help with this in any way, I should be grateful. As ever, all help/contributions will be gratefully received. On behalf of OC 14 Sqn, Wg Cdr Rog Bousfield, thank you for expressing an interest in our Centenary Celebrations. Our centenary committee has put together a series of events which are detailed below. Email us here. Please let us know which events you would like to attend, your intended vehicle details (make, model and registration number). If there are any changes to the events in question we will contact you by any means necessary. To that end, if you have a suitable mobile phone number, and don’t mind us having it, please include it in your reply. If interested, Kev will contact you with detailed transport arrangements. Hosted by our very own ‘Real Ale-ist’. If interested, we will contact you with detailed transport arrangements. No. 14 Squadron formed at Shoreham on 3 February 1915 from a nucleus provided by No. 3 Reserve Squadron, and worked up on a variety of types before departing for the Middle East in November. It was tasked with Army co-operation duties in Egypt, Palestine and Arabia, and carried out a series of detachments around the region as hot spots occurred. In November 1917, the Squadron received RE8s and concentrated on reconnaissance duties until recalled the UK in 1919 and disbanded in February of that year. Reformed in Palestine a year later, the Squadron remained in the region throughout the Inter-War years, flying Bristol Fighters and on various duties including air policing, photo survey and many long-distance 'flag waving' flights around the region. Fairey IIIFs and Gordons replaced these in the early 1930s and by the start of World War II No. 14 squadron was flying Wellesley bombers. With the expected advance of Axis forces through Africa, the Squadron began bombing targets in Eritrea in June 1940 before re-equipping with Blenheims and a flight of Gladiators by the end of the year. These were used until the summer of 1942 when Marauders were taken on strength and used in the anti-shipping role. During mid-1944, the Squadron moved to Chivenor and flew Wellingtons in the anti- submarine role. This continued until June 1945, when the Squadron moved to Banff in Scotland and traded its Wellingtons for Mosquitos. With an administrative disbandment (for one day), the No. 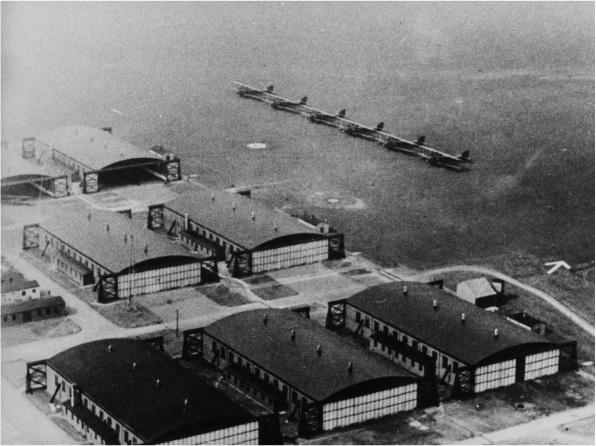 14 Squadron reformed at Wahn in Germany with Mosquito bombers, and continued with these until Vampires arrived in 1951, supplemented two years later by Venoms. In 1955, No. 14 Squadron became a fighter unit and received Hunters for this role. With another short disbandment in 1962, the Squadron re-formed at Wildenrath with Canberras in the strike role until June 1970 when Phantoms arrived. Jaguars replaced these aircraft in the fighter/attack role in 1975 whilst the Squadron was at Bruggen and remained on strength until 1985 when Tornado GR1s replaced them. In January 2001 they moved to Lossiemouth. 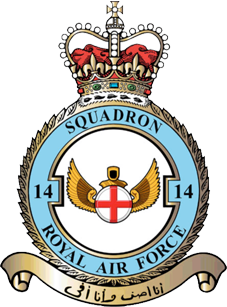 14 Squadron was disbanded on the 1st of June 2011. 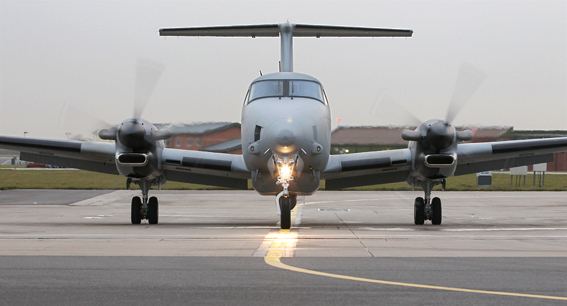 It was agreed that 14 Squadron’s numberplate should be passed to a new unit in the Intelligence, Surveillance, Target Acquisition and Reconnaissance (ISTAR) role. The unit has been operating as part of 5 Squadron at RAF Waddington. The new 14 Squadron, operates the Beechcraft Shadow R1 aircraft. Chaplain: We gather here today to celebrate and commemorate the centenary of 14 Squadron 1915 – 2015. We should never forget the contribution of those who have gone before us and given their lives in the cause of justice, freedom, and peace. Freedom, however, is not free and without cost. The work we recognise today and the dedication of those who have served before us is an expression of our heartfelt thanks, and serves to remind us always of our obligations and responsibilities in maintaining the life of this nation for which they struggled and sacrificed. We have come together to remember before God those who have given their lives for our country, to honour their courage and sacrifice, and to pray for the peace and freedom which was their hope. We will keep silence and lay a wreath in honour of those who gave their lives; we will hear God's word and commit ourselves again to his service and to that of our neighbour. and the grieving find comfort. hatred, envy, and pride; and a beacon to all who seek your presence. All: We dedicate ourselves today. Generous God, of your great goodness you renew your people in their daily living. Bless us who gather here. Empower us, on this day of dedication, for fresh ventures in faith, greater commitment in love, and new acts of service. All: In the name of God the Father, God the Son, and God the Holy Spirit we dedicate ourselves in service and praise. Amen. Almighty God, who has promised that those who wait upon You shall renew their strength and mount up with wings, as eagles, we commend to Your fatherly protection all who serve in the Royal Air Force. Uplift and support us in our endeavour, that we may be a safeguard to our most gracious Sovereign Lady Queen Elizabeth and a sure defence to our nation. Help us to fulfil our several duties with honour, goodwill and integrity, and grant that we may prove to be worthy successors of those who by their valour and sacrifice did nobly save their day and generation; through Jesus Christ our Lord. Almighty God, warm the hearts, inspire the minds and guide the wills of all who serve in 14 Squadron; that those who operate technological systems may face the challenges of the air with courage and fortitude; that those who work to maintain and support operations may be infused with dedication and professionalism; and that all may strive for cooperation and excellence, refreshed with the life-giving power and strength of your grace; through Jesus Christ our Lord. Amen. gave themselves that we may live in peace. valued in friendship, love and trust, for Jesus’ sake. Bible Reading Isaiah 40: 21-31 Hymn Great is thy faithfulness. Hymn Lord, for the years. The congregation remains standing as the Officer Commanding 14 Squadron moves to the lectern for the Act of Remembrance. They shall grow not old as we that are left grow old; Age shall not weary them, nor the years condemn. At the going down of the sun and in the morning We will remember them. All: We will remember them. There follows a 2-minute silence. Chaplain: Almighty and eternal God, from whose love in Jesus we cannot be parted, either by life or death, we give you thanks for all whom we remember this day, and ask that you would so work your good purposes in us that we might honour those who have gone before us and share with them in your eternal joy. to labour and not to ask for any reward, save that of knowing that we do your will. Amen. Chaplain: Let us commit ourselves to responsible living and faithful service. Will you strive for all that makes for peace? the power and the glory for ever and ever. Amen. Hymn Take my life, and let it be. God save our gracious Queen, long live our noble Queen, God save the Queen. happy and glorious, long to reign over us: God save the Queen. Thy choicest gifts in store On her be pleased to pour, Long may she reign. To sing with heart and voice, God save the Queen.